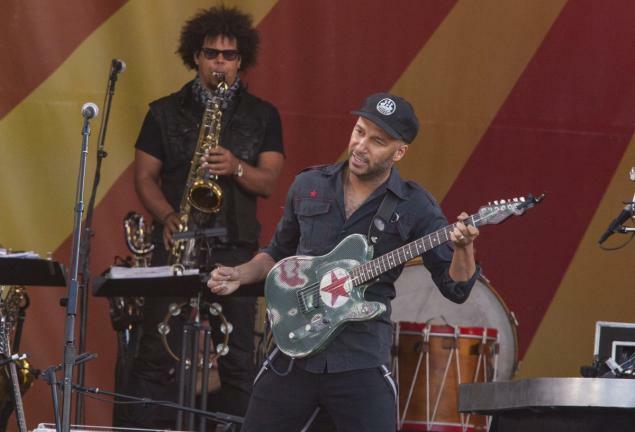 Rage Against the Machine guitarist Tom Morello mocked a CNN chyron that appeared to refer to the name of his band. The chyron appeared on CNN Newsroom with Brooke Baldwin, and it read ‘Trump rages against the GOP machine,’ while a similar story on CNN.com simply read, Trump rages against the machine, which is the band’s name. Morello hasn’t endorsed any candidate, but the NY Daily News noted in their report that he referred to Senator Bernie Sanders as well-intentioned.